Down & Out Books, 9781948235075, 358pp. While the storm rages over California's notorious anti-illegal alien Proposition 187, a young woman climbs to the top of the famous Hollywood Sign--and jumps to her death. An undocumented day laborer is murdered. And a disbarred and desperate lawyer in Venice Beach places an ad in a local paper that says: "Will Do Anything For Money." Private investigator Duke Rogers, infamous for solving the case of murdered starlet Teddie Matson, feels he must do "penance" for his inadvertent part in her death. To that end, he takes on the case of Carlos, the murdered day-laborer, as a favor to his sister Marisol, the housekeeper down the street from Duke's house. 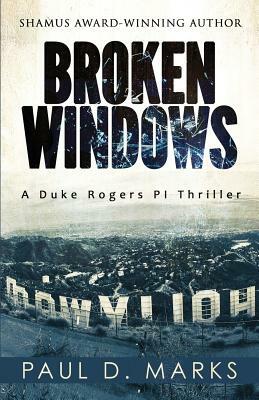 Duke must figure out what ties together Carlos' murder, the ex-lawyer's desperate ad and the woman jumping from the sign? And who is the mysterious "coyote"? Amid the controversial political storm surrounding California's Proposition 187, Duke and his very unPC sidekick Jack are on the case. They slingshot from the Hollywood Sign to Venice Beach. From East Hollywood to the "suicide bridge" in Pasadena, and from Smuggler's Gulch near the Mexican border back to L.A. again. Their mission catapults them through a labyrinth of murder, intrigue and corruption of church and state that hovers around the immigration debate in this searing sequel to the explosive Shamus Award-winning novel White Heat.